Scientists are hoping the fountain of youth might be hidden inside a whale species that can live up to 200 years. Joao Pedro de Magalhaes and his team at the University of Liverpool sequenced the genome of the bowhead whale, the longest living mammal on earth. The team wanted to understand why they live so long and don't succumb to some of the same illnesses as humans do earlier in life. "One of the big mysteries of biology is understanding species differences including species differences in aging," Magalhaes told CBS News. "For example, mice age 20 to 30 times faster than human beings and we don't know why ... Even primates which are closely related to us age considerably faster than human beings," he said. "There has to be some genetic basis to why humans age slower than chimpanzees for instance which are very genetically very similar to us. 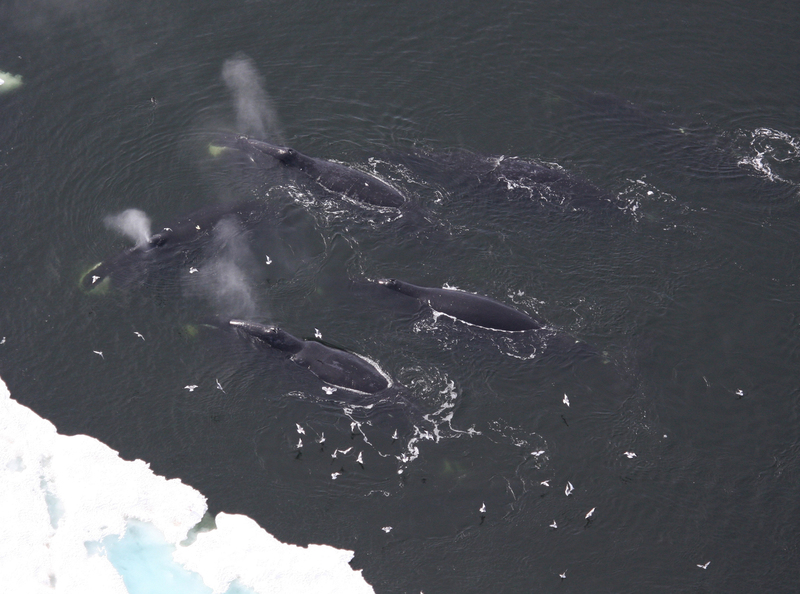 Likewise, there has to be some genetic basis as to why bowhead whales live so long and appear protected from diseases." With a 1,000 times more cells than a human, the whale should have a much higher probability of cell death and disease. It doesn't. In their findings published in the journal Cell Reports, the team found as many as 80 candidate genes that may help protect the whale from cancer or contribute to it being the longest living mammal on earth. The team found that the whales have genes related to DNA repair, as well as those regulating how cells proliferate, that differ from those found in humans. "We know DNA damage and DNA mutation are important for cancer. So when we find genes related to DNA repair and DNA damage responses, we think maybe this could be involved in longevity and disease resistance of the bowhead," Magalhaes said. "In that sense, you don't find a fountain of youth in the genome but you find some promising leads." There is a huge industry searching for that elixir which could help humans live longer. Some research has gone into finding what is called longevity genes that could lead to new drug therapies while other research promotes such things as exercise and healthy eating to extend your life. Two groups which funded most of the whale research -- the Life Extension Foundation and the Methuselah Foundation -- are seeking that magic potion. Life Extension focuses on such things as hormonal and nutritional supplements to fight aging while Methuselah is heavily invested in tissue engineering and regenerative medicine "to create a world where 90 year olds can be as healthy as 50 year olds, by 2030." Methuselah's co-founder and CEO Dave Gobel said it invested in the whale research as part of its "hypothesis that the best way to find out how to become longevity outliers is to study those who already are genetic outliers within mammalian species" and then find "what genetic complexes, pathways seem most common among these outliers and to explore what they do, how they act, and what if any advantages can be derived from them to apply in humans." While the whale study offers some hope, Magalhaes was quick to point out that it will be years before they know whether any of these genes will lead to new drugs or treatment for humans. There won't be any bowhead whale supplements on store shelves anytime soon, he joked. "The ideal scenario would be to take a gene from the bowhead and put it in mouse and see if that mouse is protected from cancer and see if that mouse lives longer," he said. "Those are quite expensive experiments. We don't have money to do it yet but that is something we would like to pursue." More likely, Magalhaes is hoping to "take human cells and modify the human genes to resemble those of the bowhead and see if that has noticeable changes in DNA repair at the cellular level." Aubrey de Grey, the SENS Research Foundation's chief science officer and one of the leading voices on extending human life, said the "biology of aging badly needs studies like this." "The field was revolutionised over 20 years ago when mutations were discovered that greatly postpone aging by emulating the metabolic response to famine, but that avenue has not delivered as much medical progress as hoped, and many of us are now pessimistic that it ever will," de Grey said. "Therefore, it is of high priority to look in other ways for simple genetic variations that underlie differences in longevity, and the approach taken by (co-author Michael) Keane et al. is among the most promising." Along with studying longevity, the team is hoping the whale genome sheds some light on why these mammals are so big. "The bowhead's genome is the first among large whales to be sequenced, so this new information may help reveal physiological adaptations related to size that we have not been able to study in any great detail before," Magalhaes said.